Love the new badge...nice job guys! 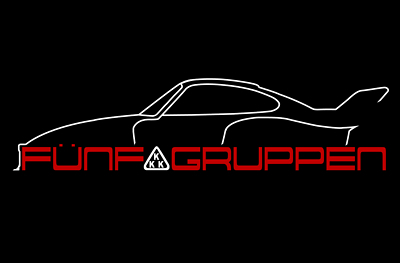 I was actually hoping that this would maybe enlongated/stretched a bit and used as the Gruppe decal. Would look cool on the front (small above or on the pocket) of a Tshirt & larger on the back! 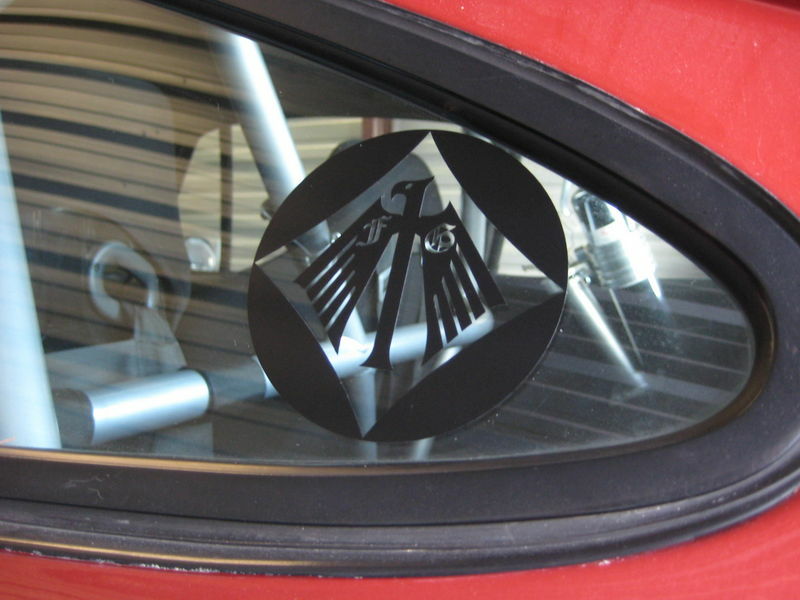 Paul, we wanted something that would could easily be duplicated into either a small decal or decklid grill badge, and as historicially, most are round or shield shaped, this is what we went with. As for T-shirts, have you checked out the FG store?? Plenty of options for ya! Did someone say Phoenix? Didn't the Phoenix rise out of the .... drumroll please .... .... FLAMES !!!!!!!!!!!! Sorry ... can not help myself ... any excuse to see these OckturboFest vids is a good excuse! They make an old man happy. We'll have several versions, in black and white and color. Hmmm, ok i see what u mean. Sometimes in the creative process, you are too close to something and cant see other aspects. Guess that we'll just stick to Black and White, which works better for stickers and such anyway. Last edited by juicersr; 12-16-2009 at 01:50 PM..
Just thought i would give an update to all of u guys here that have shown an incredible amount of support and interest by joining Funfgruppen. First off, thanks . Gabe and i are constantly working on the site, to improve it and make it more user friendly as well as protect everyone from Spam attacks that are relentless. As our site is fairly nascent, not as much activity is obviously going to occur initially as say here or Rennlist, but stay tuned, as they site is evolving and we have a lot of cool stuff/postings planned in the future. We hope to truly be a place where all of you guys with a passion for these amazing cars, both in their stock and racing form, can find refuge and support. Well, we finally finished our logo and rather than just post a pix, thought i would show an action shot. Hope u guys dig 'em. We will have them available in both triangular form, representative of the entity which helped make these cars what they were (and are), and as a 'roundel' for those that prefer. 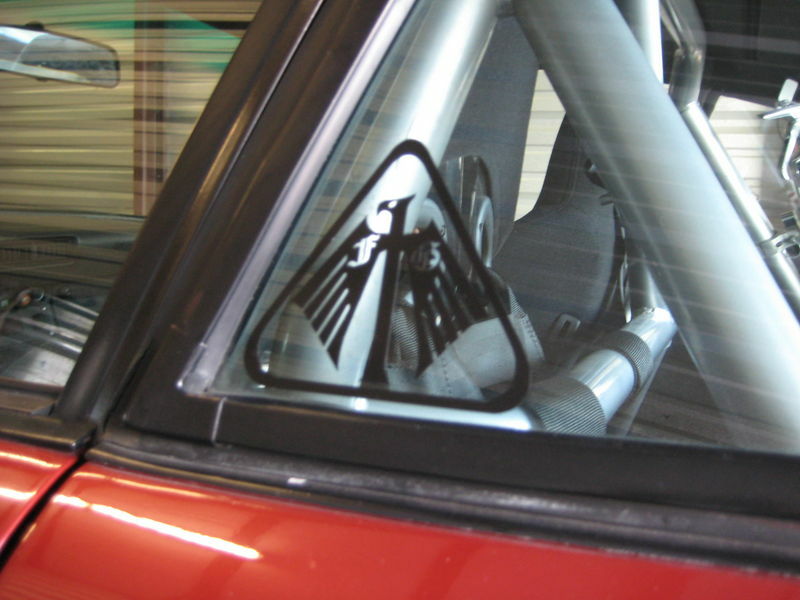 They are the 'press-on' vinyl type which adhere easily to both glass and clear coats, but can just as easily be removed if desired. They will be available soon on our store and at Turbopalooza events. Feel free to email either Gabe or myself with suggestions for the website, either regarding content or structure to make it better. Everyone that is coming to 'Winterpalooza', c ya there. Last edited by juicersr; 02-14-2010 at 05:01 AM.. Sweet...I joined and got an instant never ending ban. Is there a link to the store? Sorry guys but as I have been in the shop working on the k3 I have not been able to approve new members. I will take care of this tonight. SORRY! The forum has been down for days....What's going on fellas? There is something going on with the php script and vbulletin that i'm having to source help on to fix. Should be back up in a couple of days, my apologies for the downtime but it just happened. Cool site but I'm having issues getting on it too. I'll keep trying. If you have been removed shoot me an email to reaper935@funfgruppen.comwith your username and desired password and I will hook it up. i seem to be banned also ! "Life is short , drive Fast"